MSNBC Afraid of These Black Women! 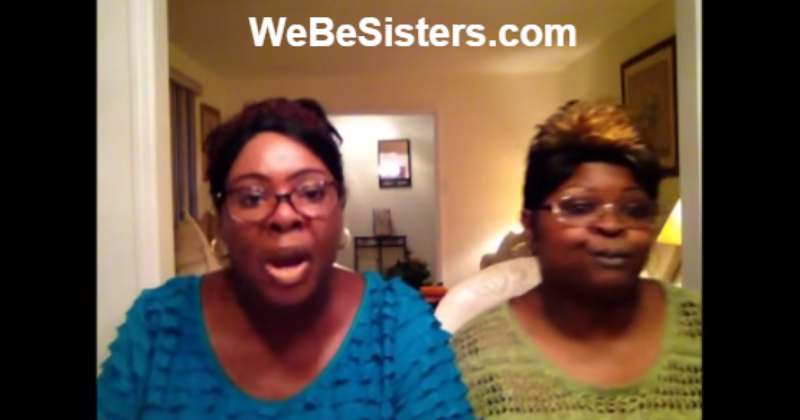 Lynette “Diamond” Hardaway and Rochelle “Silk” Richardson, otherwise known as the “Stump for Trump Girls” because of their viral videos in support of Donald Trump, had apparently been invited on MSNBC with Steve Kornacki. The very idea that MSNBC, a network obviously hostile to anything and everything having to do with any Republican politician, and most definitely one as un-PC as Donald Trump, would invite two very vocal supporters of Donald Trump such as these on their show in the first place is hilarious. Did they have any idea what they were setting themselves up for? One can only imagine the reaction from the upper level “management” at MSNBC when they found out Kornacki invited these two women. Let’s just call the show “Oh Good Lawd, what have you done?” and promote the sitcom. Invitation sent and properly exploited by the two women, Kornacki, MSNBC, and everybody else in that trainwreck of a food chain began looking for a way out of this SNAFU. And they found one. Nevertheless, since the two women rightfully refused to provide the information, MSNBC rescinded their invitation. You know what happened next, right? Two head-strong sisters, who support Donald Trump! I can understand why MSNBC wouldn’t want to go head-to-head with these two, but they should have thought about that BEFORE they invited them on the show. Once the invitation was made, backing out was never going to be a good option. The best they could have done was to avoid any indication they were opposed to Trump, but we all know that was never a consideration. The resulting video killed any chance that MSNBC would escape embarrassment, and will probably get more views than any show MSNBC has in its lineup.